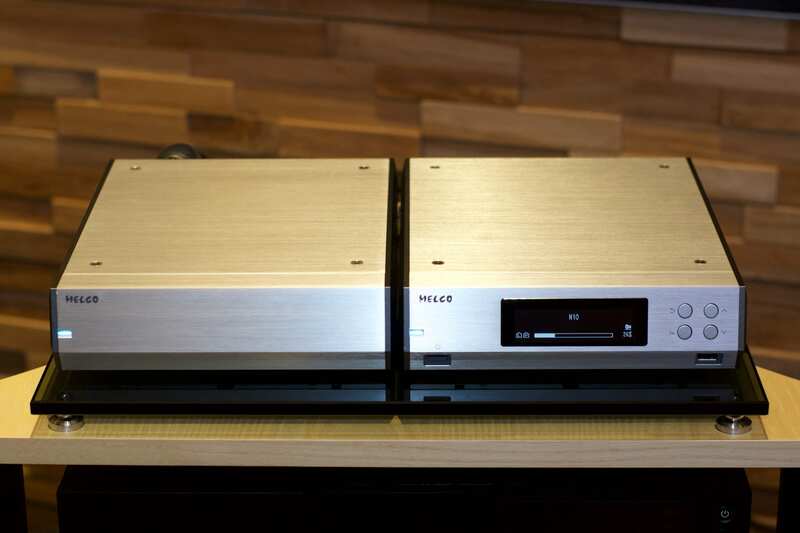 Now we’re a Melco Master Dealership! Visit from Melco’s Alan Ainslie yesterday to top up our knowledge-base and confirm us as Master Dealers. We’ve got the scroll and everything. 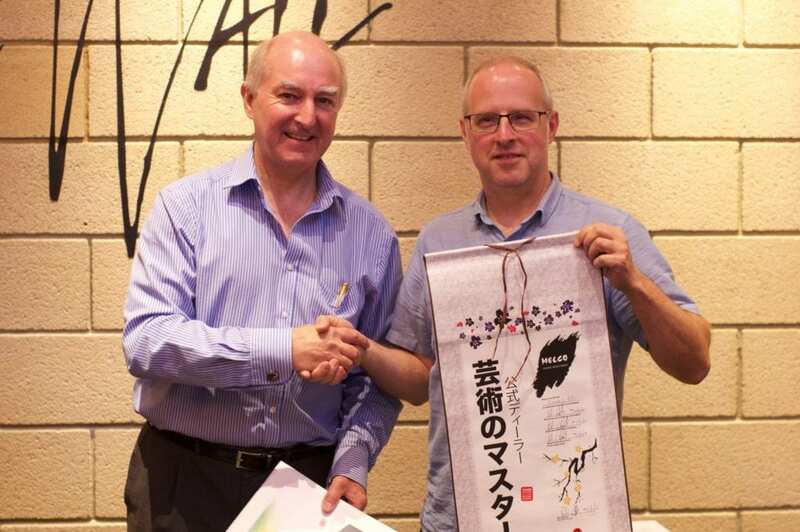 Here is Andy being presented with it. Suits me fine to take the pictures . . . ! The N10 has an intriguing back story, utilising casework timer to (but not the same) as the N100 server and being the only Melco with analogue power supplies. The casework sides are alloy on the N10, plastic on the cheaper N100. It is a stripped back design and gains sound quality points for not having a raid drive, so it’s limited to 3 Tb internally but can use the E100 drive. Pricing is between the N1Zs and N1Zh at £6750 and, yes, we will have one to demonstrate and learn about.